Orlando, Florida is one of the most visited family travel destinations in the world, and for good reason. The sunny weather and the huge variety of Orlando attractions for every age group make this a great place to plan a family vacation that will rank in the ‘best ever’ category. My family’s trip to Orlando surpassed my own expectations. We thought our 12-year-old would have fun (that was a given, really), but my husband and I were pleasantly surprised by how much we enjoyed ourselves as well. I think we had an outdated impression of Orlando from decades past, and I’m happy to say that I’d recommend a trip to Orlando for any traveling family looking for fun, adventure and memory-making. I’d go back there in a minute, and here are 10 reasons why. Speaking as a Canadian, the value of sunshine and warm temperatures day after day can’t be overstated. Visiting Orlando from any northern climate (as we did), the gorgeous sunshine that greeted us every new day was the perfect antidote to the miserable winter weather back home. 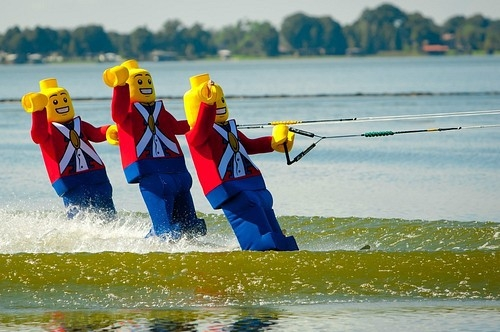 Truly, the Florida sun ranks as one of Orlando’s top attractions. If your family is anything like mine, you love Harry Potter. 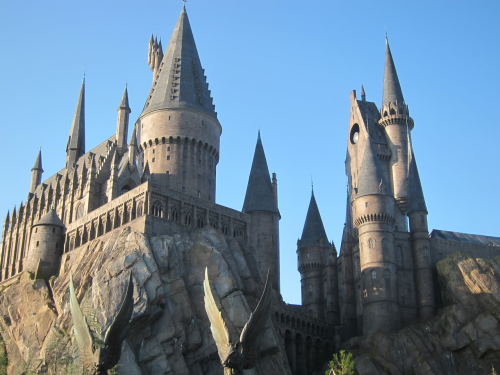 The Wizarding World of Harry Potter at Universal’s Islands of Adventure is an amazing recreation of J.K. Rowling’s successful novels, which combines theme park thrills with a magical Harry-inspired world. Ollivanders, Zonko’s Joke Shop, and Hogwarts Castle come alive and they are as good as your imagination would have made them out to be. The rides, particularly Harry Potter and the Forbidden Journey, and the roller coasters are state-of-the-art thrilling for adults and kids alike. Also note, in the Islands of Adventure Park, younger children will enjoy the Cat in the Hat, where Dr. Seuss’s books come to life. 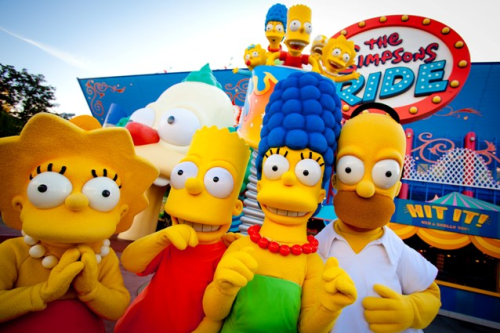 Billed as the world’s premier movie and TV-based theme park, Universal Studios Orlando has rides and movie-related attractions galore. From Barney to the Simpsons and Men In Black, and now including the new Despicable Me Minion Mayhem 3-D ride, Universal Studios will exhaust even the most hardy theme park veteran. Space is the final frontier, and you can’t get closer to it on earth than at the Kennedy Space Center. 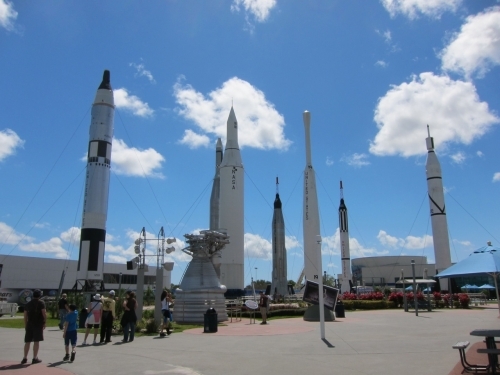 Just east of Orlando on the Space Coast, the Center offers a walk through history, the chance to dream of being an astronaut, and the potential to experience space flight. You can even view an actual launch if you time your visit right. It is remarkable to walk through the Rocket Garden and see the progress of rocket engine science, and tour the Apollo and Saturn V Center. The size and scope of the Saturn V rocket and engines are awe-inspiring. The KSC also offers Up-Close Launch Pad Tours and Vehicle Assembly Building (VAB) Tours, in addition to regular admission. Who can think of Orlando without Walt Disney and his vision to create a new world? Walt’s Magic Kingdom opened in 1971, and the rest, as they say, is history. You really can’t visit Orlando without going to at least one of the four theme parks that make up Walt Disney World Resort in Florida; Epcot, Magic Kingdom Park, Disney’s Animal Kingdom Park, and Disney’s Hollywood Studios. In fact, you could spend your entire Florida holiday at Disney World and still not experience everything, which explains why so many people return there year after year. 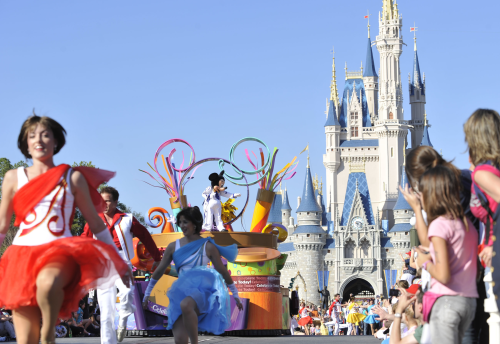 Disney World offers rides, entertainment, a myriad of attractions, live shows, parades, fireworks, fine and casual dining options, and seasonal celebrations throughout the year. New in 2012 is the much anticipated New Fantasyland, offering a legendary hidden world within the Magic Kingdom Park. You can save money on your Orlando visit by purchaing attraction tickets in advance. 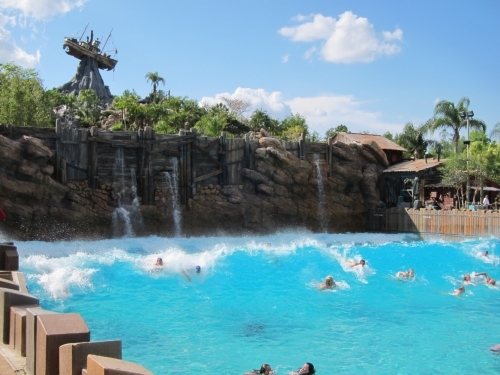 Disney World’s two water parks, Typhoon Lagoon and Blizzard Beach, offer fantastic water play and much-needed cool down time from the hectic pace of theme park visiting. Parents can lounge in the sun or shade while the kids splash down waterslides or float along the lazy river. Ketchakiddee Creek in Disney’s Typhoon Lagoon is the perfect place for children less than 48 inches tall, with ten different activity areas including fun water features and kid-sized slides. Taking an airboat tour of Florida’s Everglades wilderness to view the wildlife and spot these incredible creatures is a one-of-a-kind experience that rates highly on my list of must-dos in Orlando. It’s also a nice change of pace from the fantasy and hectic nature of theme parks: to connect with nature and view Florida’s wildlife in its natural environment, up close, but not too close. 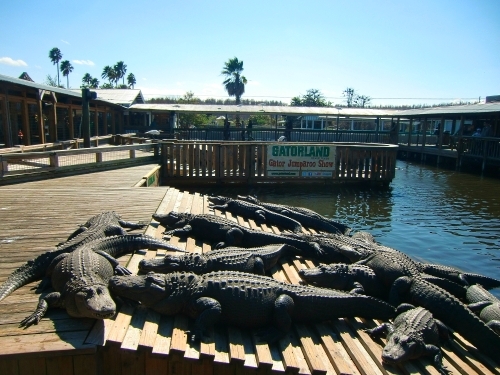 Gatorland, a theme park and wildlife preserve that focuses on alligators and their crocodile cousins, also provides a safe and fun way to view these scaly creatures upclose. Be sure to take in the star event, the Gator Jumperoo Show, to see these creatures “jump” for their dinner. Yes, it’s technically in Tampa Bay, but in an hour’s drive from Orlando you can experience one of the top zoos in North America, with more exotic and endangered animals than any destination in the world. 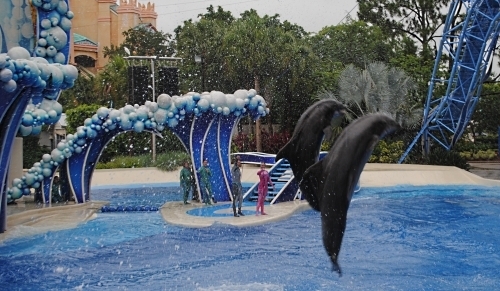 Busch Gardens also features several thrill rides and attractions. 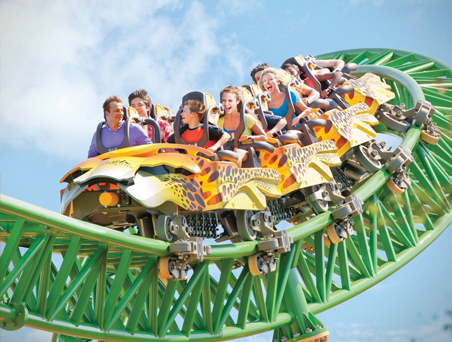 The new and amazing Cheetah Hunt roller coaster, simulating a cheetah’s hunt for its prey and reaching nearly 60 miles per hour, is a must do. Have you enjoyed a dream family holiday in Orlando? What was your favorite attraction? Let us know in the comments your tips or favorite spots around Orlando! A Note from Travel Mamas: Thank you to Attraction Tickets Direct for supporting Travel Mamas via this post. We love Orlando – have been more than half a dozen times and still haven’t seen everything! The Wizarding World of Harry Potter is amazing – I would love to be able to spend time there when it’s not so crowded though. 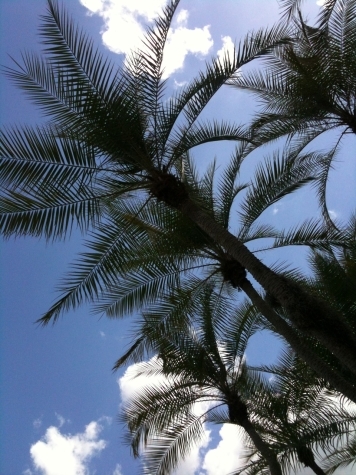 We definitely appreciate the Florida sunshine as a break from Canadian winters too!